A Bite Size Brief is a document presented in simpler format using easily understandable language, which summarizes regional high-level discussions and/or analysis on issues affecting the rights and health of the key affected population. In partnership with Australian Federation of AIDS Organisations (AFAO), APCOM developed this “I read it for you” material that identifies key regional strategic information and inform the country networks and community advocacy on relevant issues. 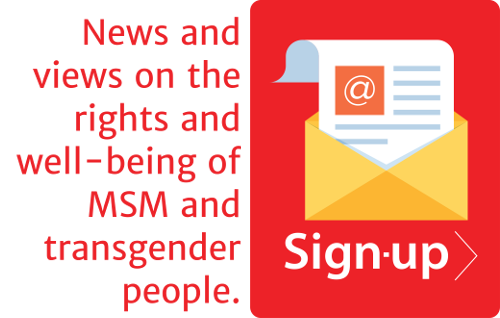 “Young MSM & Transgender People and the Law” Bite Size Brief highlights the obstacles in access to HIV services and programs unique to young MSM and young Transgender people in Asia and the Pacific. This further provided recommendations to readers on how to put the Bite Size Brief into use including discussing the material with the communities, identifying key messages in their respective countries, sharing the brief with the stakeholders and advocacy allies, and translating them into their own languages. 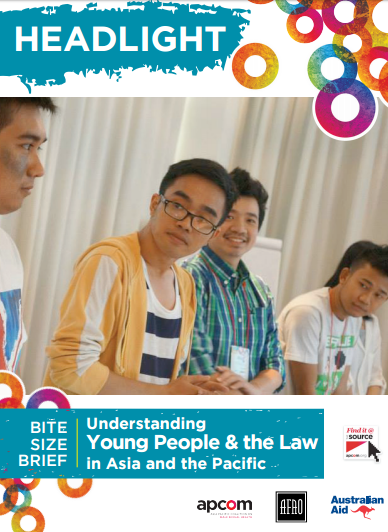 To view the complete report of Young People and the Law in Asia and the Pacific, click here.